Rolex, one of the most influential brands in the world and Forbes ranks it at position 69 when listing the most prominent brands worldwide. As such is the case, these watches are trendy and are always on demand; therefore, it is not a watch that you buy from any store. Some experts say that it is okay to take your time when buying your first Rolex timepiece, even if it means months of doing so. The reason is: some vendors can sell you a fake. So, if you are thinking of buying one, it is a good idea to check various buying guides online. However, you should know the most authoritative guides available. Here are some vital tips to check out when looking at any price guide. Buying one watch will cost you thousands of dollars. As you consider this, be aware that several factors move the price. Compare various guides to see the cost of one brand in their stores. The deal should make sense. For instance, the length of the warranty is essential. Most watches have a one-year warranty. Before you even decide on the watch you need to buy, be sure to consider whether you want to purchase a new or a second-hand watch. The latter always comes with a lower price, which is good if you are short of the amount you need to buy a new one. Some people love luxury. They also like something that is not common to everyone. By the way, Rolex fanatics enjoy buying from the brand because the watches are not just for everyone. Additionally, they are rare, especially the vintage versions. As you browse through the list, check to see if you can get your own custom-made watch. Customized ones have a higher price tag to them since the creators will add a personal touch including colors, jewelry and the overall design. 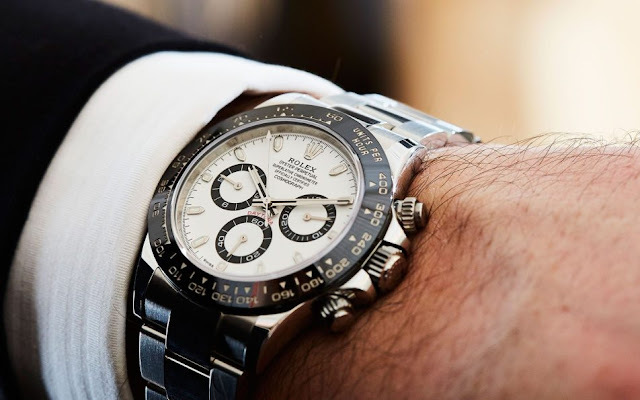 Rolex, as a brand, produces many types of watches so that you are never out of choice and out of date. First, you are free to choose a vintage or a modern style watch. After you decide on the model, start thinking about the frequency of having your watch on your wrist. Some are good to wear during specific events like a wedding or on days that you want to look sharp and professional. On the other hand, others are best for casual wears. The manufacturers consider the style that you would want the watch to be. Thus, they will design these timepieces using expensive jewelry like diamonds and pearls. As you browse, check the overall design. For instance, a Pearlmaster Range has a ring of diamonds, which gives it a sparkling touch to it. You will also find leather strapped watches that are strong enough to stand time pressure. Because of its demand, some vendors create counterfeit brands that will almost look like its original version. Immediately you fall in love with the watch, do enough research to verify it. For instance, scrutinize the authenticity of the seller. Look at various testimonials on the internet. Also, look at their level of knowledge. They should have experience with the brand for a longer time.